At the heart of rum is the sugar cane, an interesting article in Wired discusses a new approach being taken by a massive Brazilian sugar producer. Given the impact on biodiversity of traditional production techniques these guys have taken a very non-linear approach to things and have had some very impressive results. I must admit the idea of Mexican rum did not fill me with confidence but after tasting this, I'll freely admit I was VERY wrong. Cordoba, in the Eastern province of Veracruz sits on the same latitude as Jamaica and Haiti and they're fairly handy with the old rum so why shouldn't these guys be? 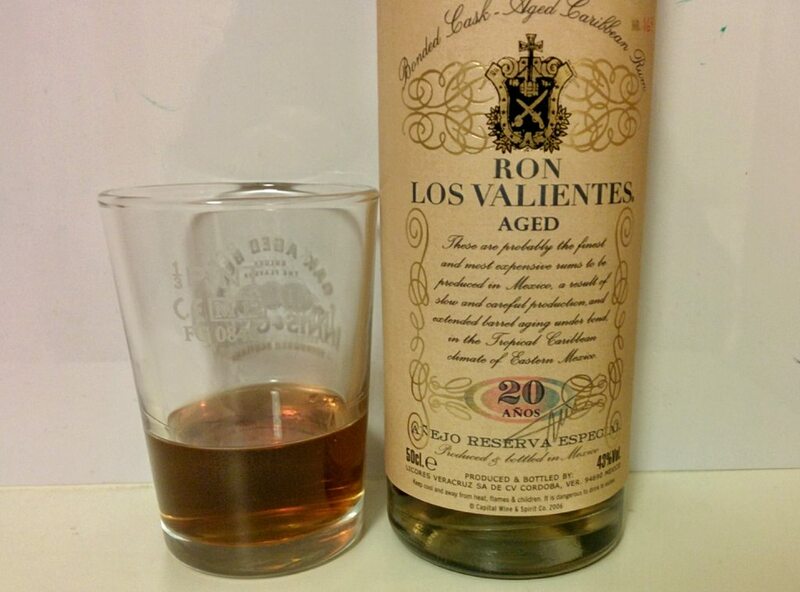 Named after the fighters in the Mexican revolution Los Valientes is a fine addition to my collection of sipping rums. taller and slimmer than most, it's an elegant, simple bottle that showcases the liquid very nicely indeed. 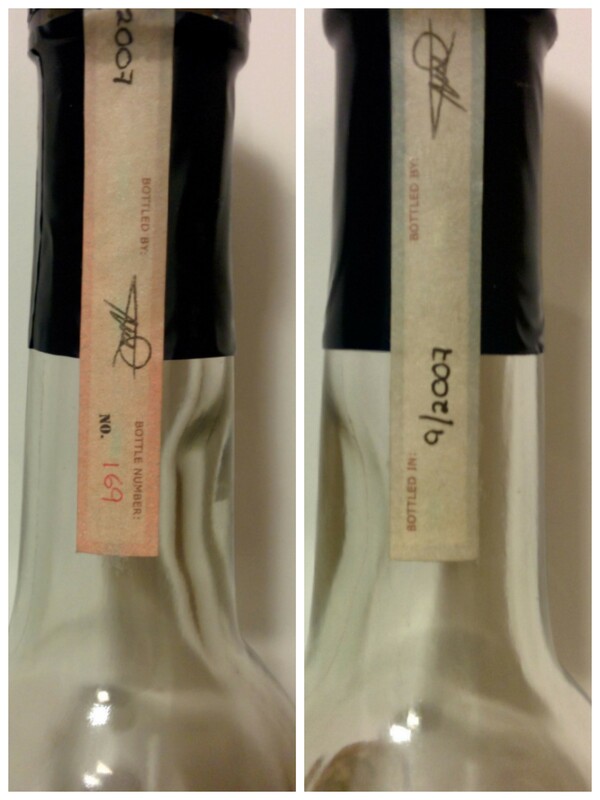 For the 20 year old each bottle is individually numbered, signed and dated by the head distiller. As for the liquid itself it comes in at a punchy 43% and is around £45 for a 50cl bottle. Now this is definitely pricey but first consider this is a genuine 20 year-old rum rather than a solera, so it's not outrageous to my mind. Interestingly Los Valientes is a hybrid of rum styles, being made with locally grown sugar cane from which the sugar cane juice is taken, slowly fermented and then double distilled in a pot still. This gives effectively an Agricole rum. Next the molasses from the same cane is fast fermented and column distilled, making a lighter rum and then these two are blended in a 70:30 ratio. Now, with the angels' share being so high in tropical climates how on earth can anyone do a "true" 20 year old rum? Well, the canny guys of Licores Veracruz got round this by using 180 gallon barrels of white oak, this is less reactive than the standard ex-bourbon barrels most people use so the rum can stand a longer ageing and the angels' share is reduced. 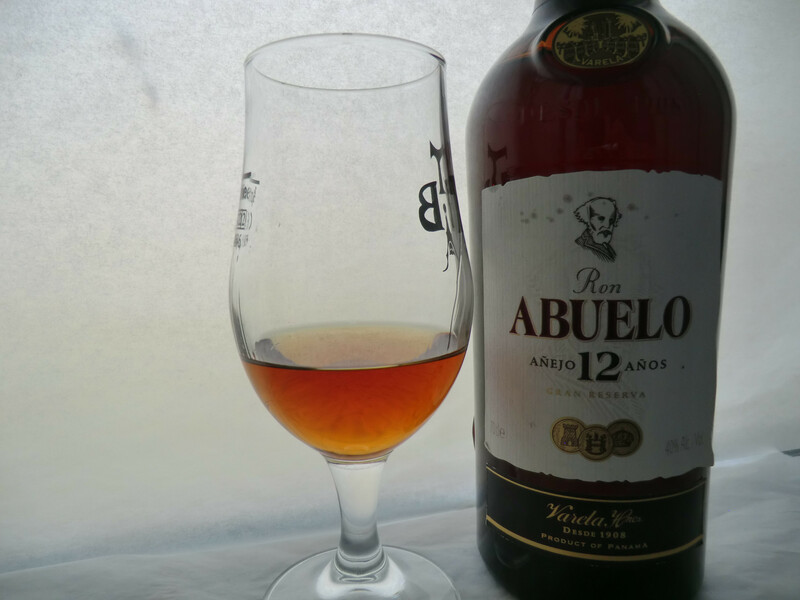 Pouring out a glass you see the gorgeous dark amber colour with very thick and persistent legs, as the rum warms up and opens you get a sweet, slightly pungent aroma followed by dried fruits and nuts. Taking a sip there is definitely a good bite to it but it's far from harsh, the sweetness is tempered by a spicy almond & cloves note. A splash of water does take the edge off it but personally I like the bite. On the way down that extra 3% ABV makes itself known but there's no burn at all, just a gorgeous warmth complemented by a nice, dry dark chocolate finish. In the course of tasting this rum I found that to get the best from it you needed to take a good big sip, which is no great hardship with a rum like this. Overall this is an exceptionally well balanced rum, the bite of the slightly higher ABV compliments the sweet, spicy notes, this is definitely a rum to savour and sits very comfortably amongst higher-end sippers. Ron Millonario - Paddington's favourite tipple? 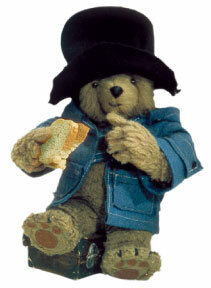 Paddington bear - coming over here, eating our marmalade..
Peru, home to Paddington Bear, the charming Marmalade-scoffing illegal immigrant beloved of a generation of British kids has now given us another great export. Ron Millonario is a relatively new rum brand, brought to us by an Italian who started off in wine, was an independent Scotch Whisky bottler and then came to rum. Now, somehow, in the North of Peru there are three Scottish column stills working away to make this most International of rums. Millonario make a point of mentioning in their materials that their wash is slow fermented, now this isn't something I'd ever really thought much about but a perusal of the excellent "Rum" by Dave Broom enlightened me on a few things (and I'd really recommend the book, it's a great read). The longer the ferment the more acids and esters there will be in the wash, and esters give those lovely fruity aromas we all love. Once it's distilled the rum goes into a 4 row solera consisting of American oak ex-bourbon barrels and Slavonian oak as well. On average the liquid that comes out is around 7 years old. 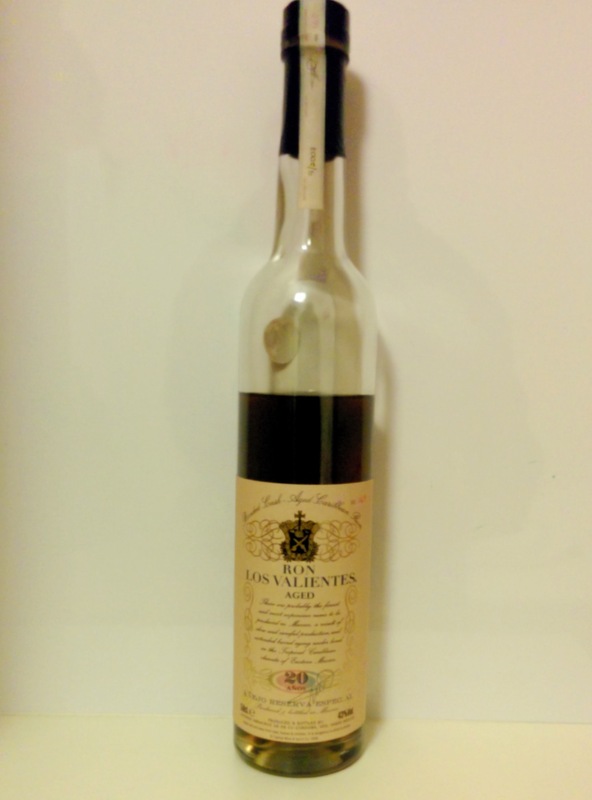 As discussed elsewhere on this blog the age statement on a solera rum refers to the oldest rum in the blend, rather than the youngest as you'd see with a rum from a former British colony. Still, as long as you know what's what it doesn't overly bother me. Toquilla, it makes me happy.. 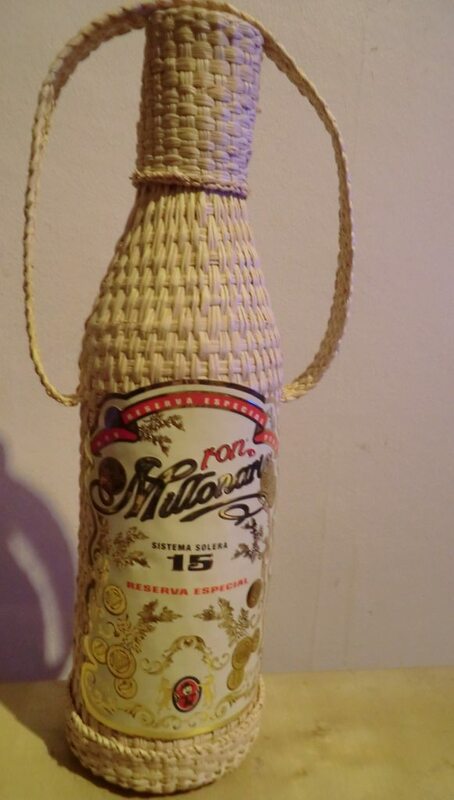 The bottle itself is definitely eye-catching, wrapped in toquilla straw from Northern Peru which is the same plant used to make Panama hats. My only quibble is that it's a bog standard screw cap underneath, I can completely understand why but I love the sound of a cork popping out of a bottle. Once you've poured yourself a glass it's a lovely dark amber colour with thick legs that linger. As the rum warms up the room is filled with a cinnamon and a fruity, slightly smokey aroma, almost like fruit pudding that's been fried too long (for horrified non-Scottish readers think fried fruitcake). Take a generous sip and you get a big hit of sweetness followed by stewed dark fruits, a little of the obligatory vanilla and banana bread (those esters again), and then a slight tart, almost citrusy edge to the flavours that's very refreshing and makes for a very moreish drink. This definitely coats your mouth and has an almost syrupy mouthfeel. On the way down there's a pleasingly gentle warmth that brought a definite smile to my lips with a lingering fruity aftertaste that invites another glass. 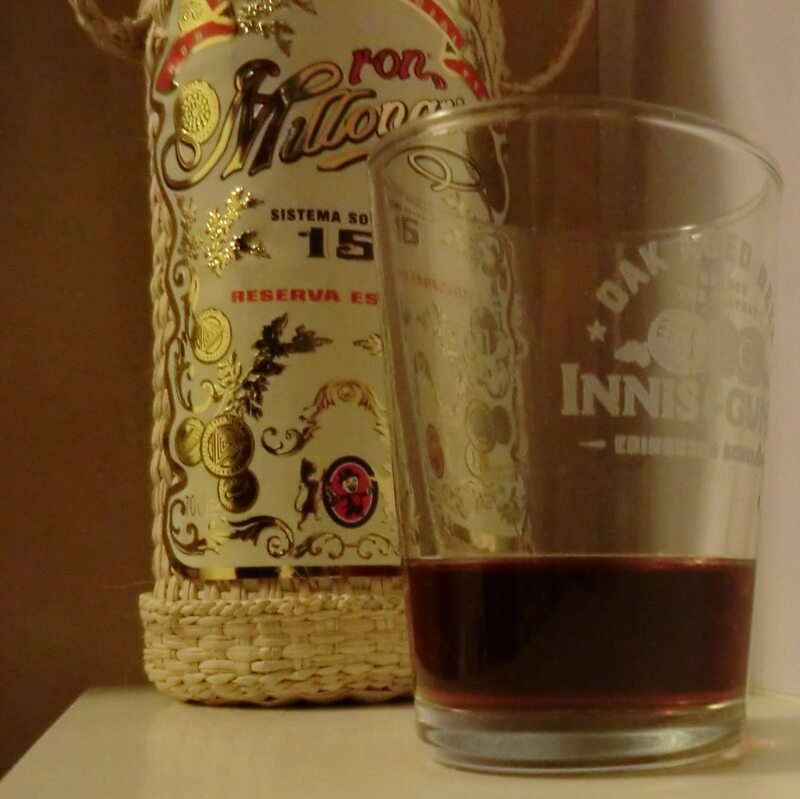 Ron Millonario is definitely a winter rum, ideal for sipping on a cold night to warm yourself up. I've had a glass sitting next to while I type this and the room is suffused with the fruitcake aromas of the rum, the longer you leave it the more this opens up and develops. Overall this is a very good rum that could be a great rum, evening out the slightly burnt edges to the aroma and flavour would elevate the rum markedly, but I suspect that's being saved for the XO version. Other than that it's nicely balanced, the fruity notes stop the sweetness being overpowering and the warmth of the finish is very appealing indeed. 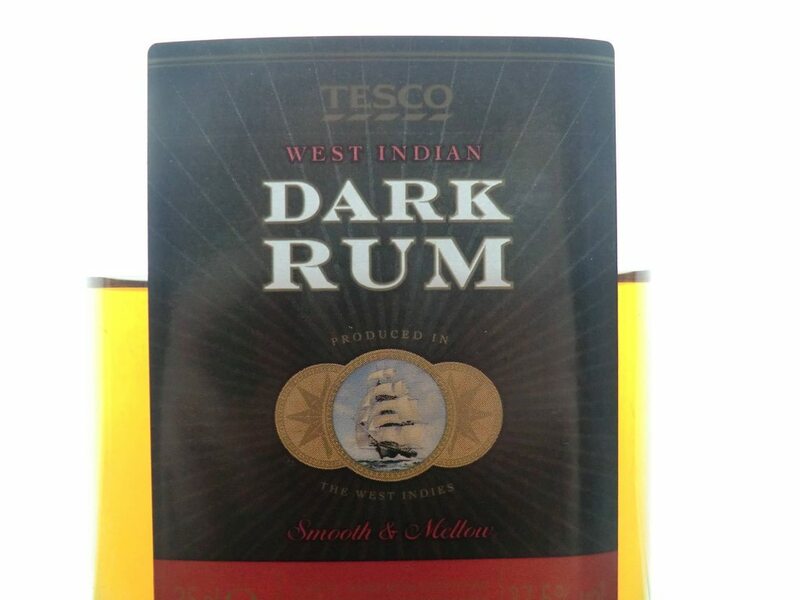 Retailing at around £35 for a 70cl bottle this is a great quality rum at a very reasonable price. Currently Aldi, purveyors of cheap fruit,veg and random goods have El Dorado 15 for £35.99 and the 8 year old for £20. Absolute bargains for two superb rums so fill your boots. After a little break caused by work getting in the way of drink it's back to the grindstone with this little Panamanian number, when I was picking it up the fine people at Edinburgh's Cigar Box suggested one of these little Cuban numbers to go with it. 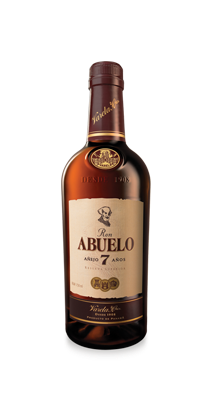 I've previously sampled and enjoyed the 7 year old from Abuelo and found it a bit more interesting than many other rums of comparable age so figured that bodes well for its big brother. The history of Abuelo goes back to 1908 when a sugar mill was founded, though it took till 1936 for them to get round to distilling any booze. Interestingly it's still the local sugar cane that goes into the Abuelo rum, making it a true single estate drink. Indeed once the sugar cane is crushed and the juices extracted the left overs are used to fuel the still and kettles. Anyways, to the booze itself. , like the top of a good crème brûlée, after it warms up a little then you get orange notes and a slight smokiness coming through which makes for a very enticing combination. The first sip gives a definite dryness on the lips and tip of the tongue and you expect more of this but then in come a lot of fruity notes, cherries and blackberries layering over the dryness together with a caramel sweetness. As a Scotsman I approach Panama with a degree of caution, in the 1690's we tried to establish a colony there which was clearly planned while completely hammered and that went as well as could be expected, but this is a very nice drop. At £32 a bottle this slips down easily and gives a good contrast to the sweeter rums on the market, my one criticism would be the contrast between the dryness and the fruity notes on that first sip is a bit jarring, that being said I wouldn't hesitate to recommend this to any rum drinkers out there. 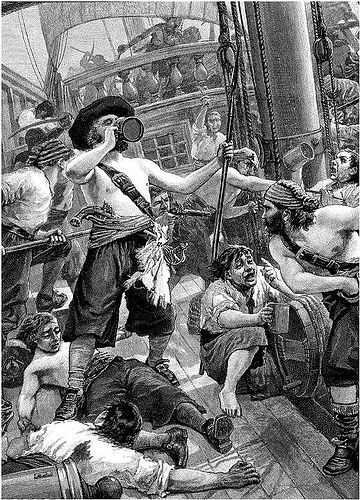 On July 31st 1970 the Royal Navy finally halted the daily rum ration to sailors, known as "Black Tot Day" this was the inevitable end of a tradition that had lasted since the 17thcentury. Increased mechanisation, and breathalysers, meant that serving a double measure of over-proof rum every day was a pretty terrible idea. "The chief fuddling they make in the island is Rumbullion, alias kill-divil, and this is made of sugar canes distilled, a hot, hellish and terrible liquor." Which could certainly describe some rums I've drunk over the years (Tesco West Indian Rum I'm looking at you). At that time sailors got ½ pint a day of strong rum. Sailors would check that their rum hadn't been watered down by soaking gunpowder in rum and attempting to light it, if it failed to ignite it was "under-proof" if it lit it was "over-proof". Once reliable ABV measures were introduced it was calculated that the gunpowder and rum mix would ignite at 57.15% ABV while some rums went as high as 80%. 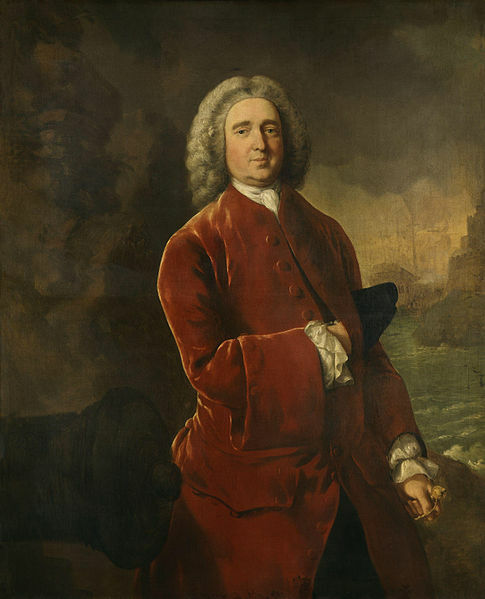 In 1731 the ration was split in two, with a quarter pint being served between 11 and 12 am and the remainder between 5 and 6pm. It's an interesting coincidence that at the same time the Royal Navy was increasing rum consumption they were also becoming the pre-eminent fighting force, so even back then we Brits liked a drink and a fight. 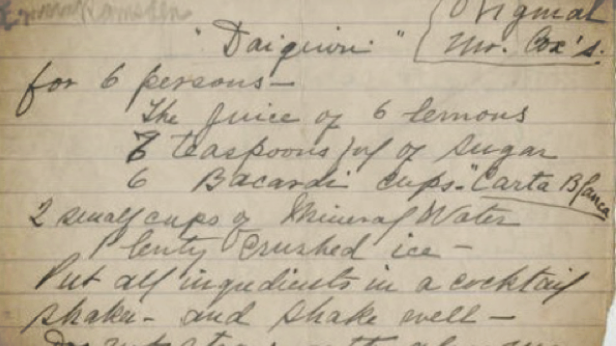 Adding the water prevented sailors from hoarding their rations as it would spoil rapidly, however the taste of the water was unpleasant so lime juice was added. At the time it was noticed that Vernon's sailors were healthier than the norm but no-one really new why, and it wasn't until 1747 that it was proved that citrus fruit prevented scurvy and not until 1756 that it was a requirement to add lime to the rum ration. 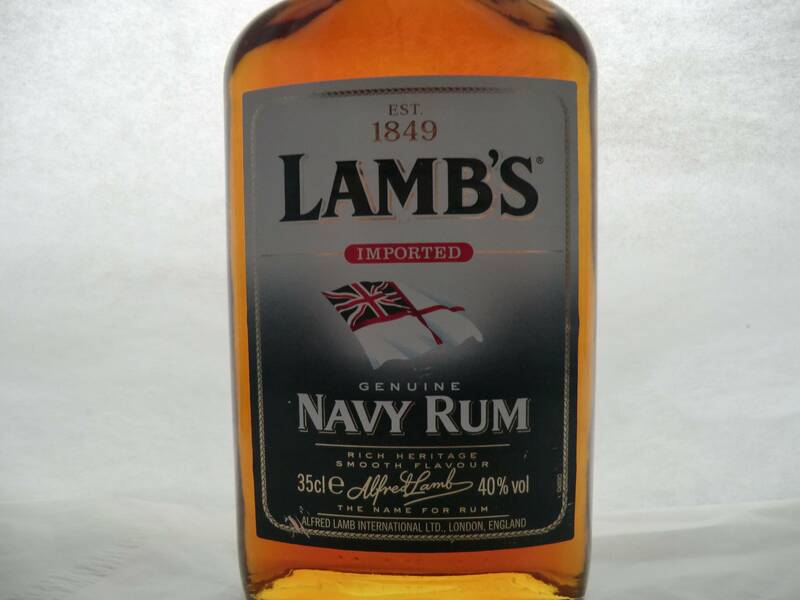 Now in the tradition of naval rums I picked up a bottle of Lamb's, as I can't afford the £610 for a bottle of the real Royal Navy rum and I've previously reviewed Pusser's. It's been a bottle that was always tucked away on the back bar of pubs when I was growing up. 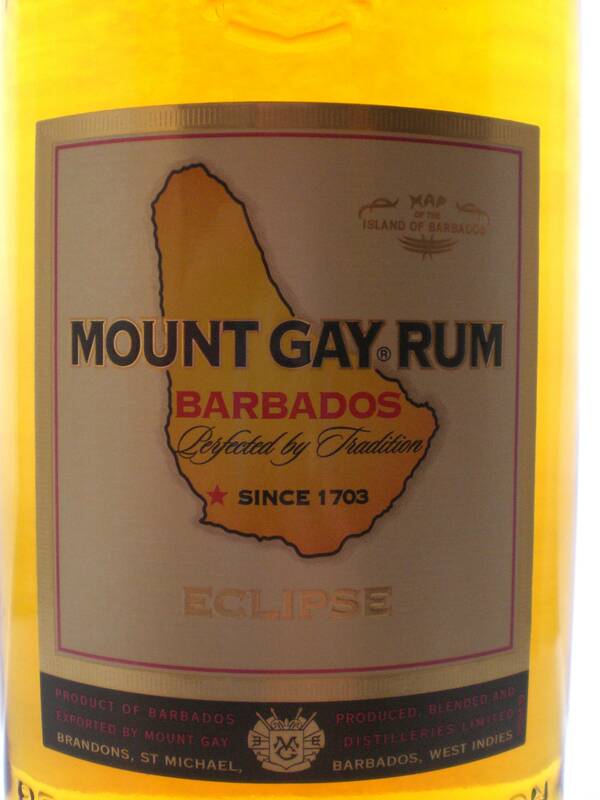 Along with OVD and the depressingly ubiquitous Bacardi this was probably one of the first rums I was aware of. Lamb's has been around since 1849 and is a blend of 18 rums from Barbados, Jamaica, Trinidad and Guyana which are blended and then aged for 4 years in the UK. Indeed before being bombed out in The Blitz the casks were aged in cellars below the Thames at West India Dock, leading to the nickname of "Dock Rum". It's bottled at 40% ABV and runs around £16 for a 70cl bottle. Looking at it there's a very deep, almost coffee like depth to the colour, it's a very attractive looking liquid to me. Taking a sniff you're immediately hit with a warming molasses which fades leaving a little hint of vanilla and cherry. A sip gives you a big hit of sweetness with a little burnt caramel edge to it and some vanilla that fades out quite quickly to eventually be replaced by a dryness coming from 4 years in ex-bourbon barrels. It's a doughnut of a flavour profile, sweetness, then nothing, then dryness. On the finish the dryness fades out reasonably slowly and although it slips down surprisingly smoothly there is a definite alcohol burn once it hits your stomach, while not as harsh as other rums it's definitely not the gentle warming of a Pusser's.. This is quite a bit better than I expected it to be and comparing to some older reviews I suspect they've rebalanced their blending as part of their re-launch of the brand this year. That being said it's not a sipper, and has no real pretensions to be, so judging it as such isn't particularly useful, if you want a sipping navy rum, grab a Pusser's. So, as a mixer how does Lamb's perform? With Coke it works fine, the flavours are strong enough to hold up although it definitely accents the sweetness. Since Admiral Vernon advocated mixing rum with lime juice and water I tried this in a Daiquiri and it was remarkably good. Using 50ml of rum, 25ml of lime juice and 15ml of sugar syrup I knocked a quick one up and the lime cuts through the sweetness very nicely, the hint of dryness is still there and it makes for a very refreshing drink. 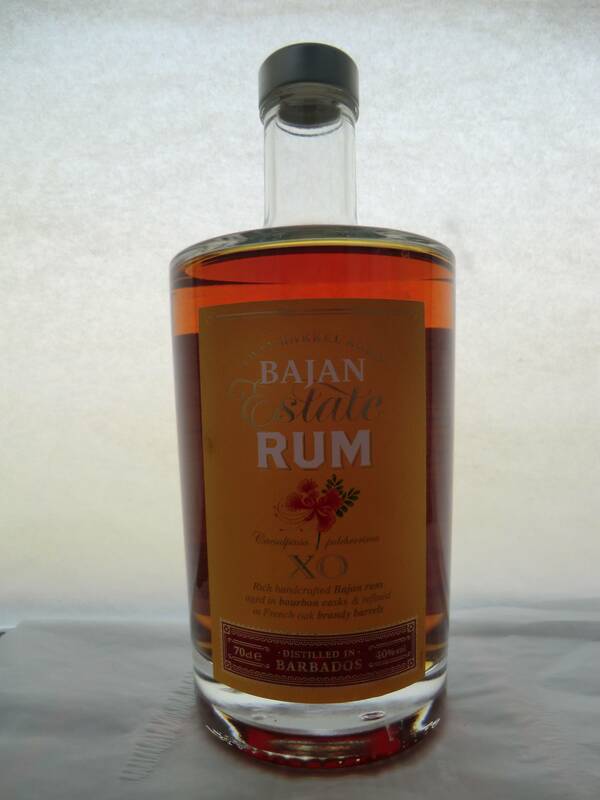 Now following on from my previous review of Marks & Spencer's own brand rum offering comes their Bajan XO. 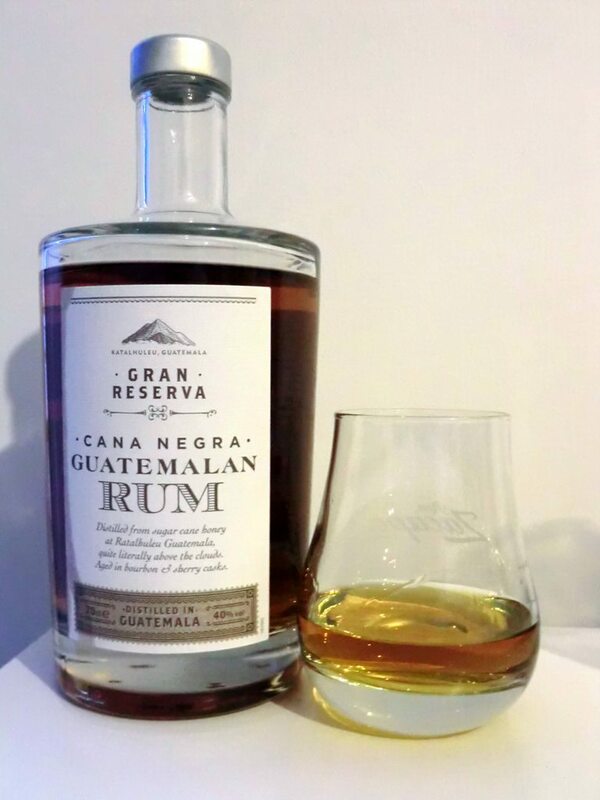 Like the exceptional Guatemalan offering this comes with no indication of which distillery it's from but some digging suggests it's from the fine people at Foursquare, part of the RL Seale empire. 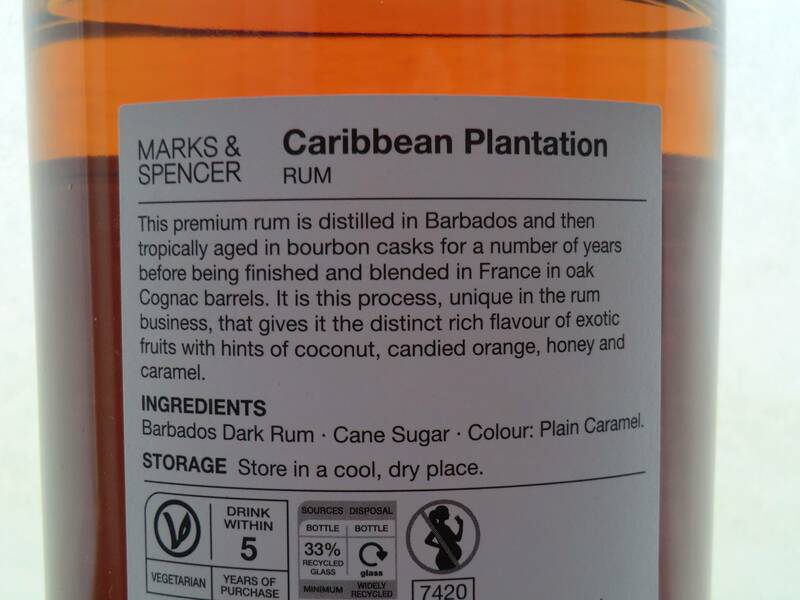 Again this is a low priced rum (£22 a bottle) that the team at Plantation have made for Marks & Spencer, turning their expertise in blending Cognacs to the cause of rum. Now, I'm not that fussed about people adding caramel and sugar to their rum as long as the end product tastes good but I get that some people care so it's good that the label displays this upfront. This isn't not something I've seen anywhere else, so kudos to M&S for openness. This is a blend of column and pot stills and is aged between 8 to 10 years in the obligatory ex-bourbon barrels before being shipped off to France for finishing in Grande Champagne Cognac barrels for a minimum of 6 months. Bottled at 40% ABV. When you take a sniff there's an immediate hit of butterscotch, but a very light one with honey and a very little bit of dried coconut coming through. 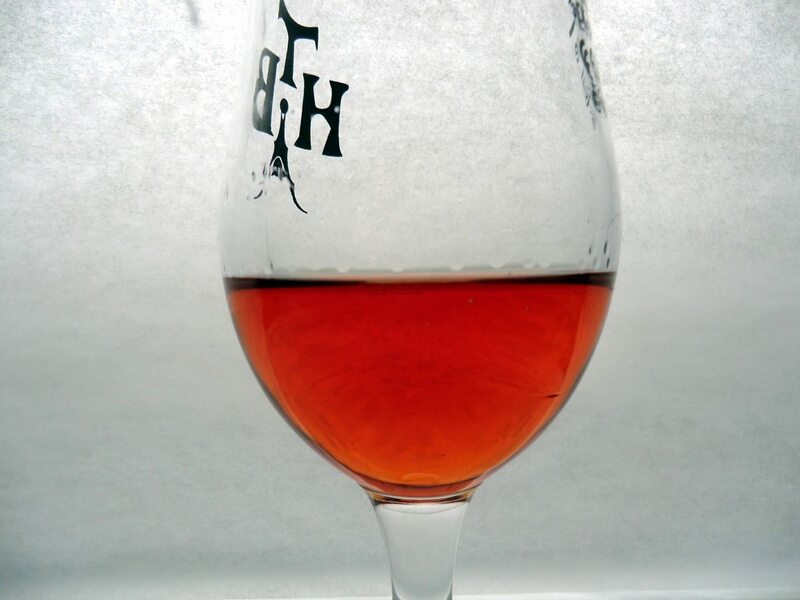 Looking at the rum it's a lovely burnished copper colour with thick, long legs. Taking a sip you feel it really coating your mouth with a lovely buttery, almost chewy texture. The butterscotch come through more subtly than you'd expect from the nose, there's an oakiness with it that I can only describe as dipping a lolly stick in hot butterscotch and licking it clean. Some orange zest, dark chocolate and dried fruit come through before this slips down incredibly easily. The finish is very smooth, lingering with an initial dryness from the time in oak that draws the moisture from your cheeks which seems to reactivate the sweetness. There's a comparison to be made between this and the Plantation Barbados 5yo. They're very similar but the sweetness on this is a little more dialled down and the feel of it is richer. I've been very, very impressed by both of these bottles from M&S, the quality of rum you're getting is excellent even before you consider the bargain price. If you were to ask me which to recommend I honestly couldn't split them and, at £22 a bottle why bother? Pick up both and enjoy a bargain indulgence. Mixing - Are you mental? In the interests of full disclosure let me say up front I'm far from a fan of spiced rum, largely I find their devotion to vanilla overpowering and boring. The usual aquatically themed mega-sellers, Captain Morgan, Sailor Jerry and Kraken don't do a lot for me. 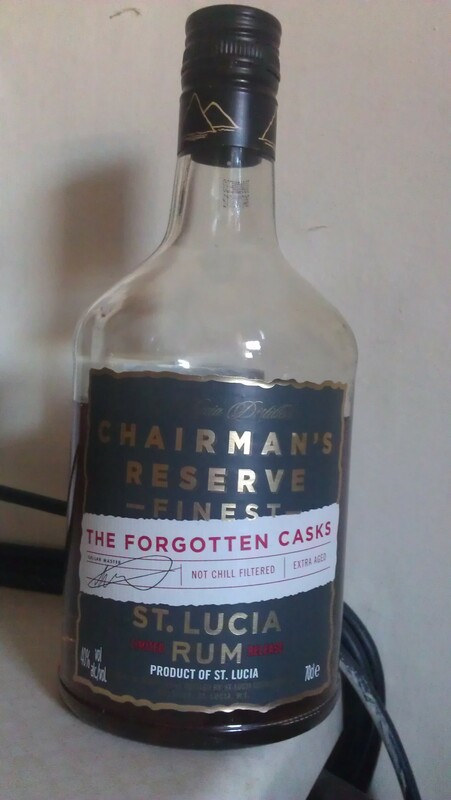 That being said I'm a big fan of St Lucia Distillers, their standard expression and the Forgotten Casks are two very good rums indeed so I figured, in the interests of science I'd give their spiced rum a go and, at £24 a bottle what's to lose? Spiced rum were, for a long time, a way for manufacturers to sell cheap, crappy spirit by lobbing in a boatload of spices that would hide the flavour and help pad their bottom line. After all, you wouldn't use a nice rioja to make mulled wine so why use a good rum to make spiced rum? Thankfully over the years this viewpoint had changed (mostly) and the spiced rum market is growing at a rapid rate, most bars you visit will have at least a few of the usual suspects behind the bar, even if they have damn all else in the way of rum. This particular rum is bottled at 40% ABV and uses local spices such as coconut, cinnamon, cloves, nutmeg, vanilla (of course), lemon, orange, all spice and a local tree bark, Richeria grandis which is allegedly an aphrodisiac. St Lucia Distillers add their spices at various stages during maturation and blending, with some getting up to a year to marry with the spirit. Having drunk this it feels like the base rum for this is the same as the Chairman's Reserve, a mix of copper pot and continuous stills that gives a lightness to the rum while still having a depth of flavour. Once I cracked open the bottle the room was filled with the scent of cinnamon and baking spices which really surprised me, after all, spiced rum = vanilla doesn't it? Pouring into the glass and actually having a proper sniff you're hit immediately with cinnamon, not harshly but more like a freshly baked cinnamon bun, after that the rest of the Christmas-y spices come through, nutmeg, cloves and candied orange peel. A sip follows the same profile, a cinnamon hit that warms you up for a wave of different flavours to wash over your palate, all the notes from the nose come though in turn with a little bit of the vanilla, giving you the feeling of being sat in a bakery at Christmas, feeling warm and content. On the way down this is remarkably smooth, the finish is lingering and warm with a dryness that creeps up on you from the ageing in ex-bourbon casks. I'll freely admit to being very surprised by how sippable this is, a £24 bottle of spiced rum that doesn't need to be drowned in coke? Bargain. Cana Negra - this is not just rum..
An interesting little number this that a wee bit of detective work shows is a hidden gem. For non-UK readers Marks & Spencer are a very middle of the road supermarket, the kind of place your mum goes to get a nice bit of food, where maybe you got your first suit as a young man. I'd heard some chat about this so picked up a bottle today and, first impressions, it's a nice looking bottle, fairly plain but a bit of googling shows you that Ratalhuleu is where the fine folk of Ron Zacapa make their booze. As there's only one rum distillery in Guatemala that kinda tells you who's making this. Now, interestingly, the blurb tells us it's aged in bourbon casks, 2 sherry casks then finished in cognac barrels in France and there's only one company doing that so what we have here, effectively, is a Plantation Zacapa rum. Anyways, after all that, is it any good? Atmosphere - watching a replay of the British & Irish Lions win over the Melbourne Rebels post work. This compares very favourably to the Zacapa 23, the mouthfeel is a little thinner, suggesting slightly younger spirit but the dryness helps to subdue the sweetness that can make the Zacapa, for me, a bit one note at times and the sweetness is in itself less up-front than the Zacapa, allowing other flavours to shine through. This is a rum with more complexity than the Zacapa, and, at £22 a bottle an absolute, flat-out bargain. I'm very impressed by this, for a supermarket own label a lot of time and effort has gone into making a top-notch sipper. 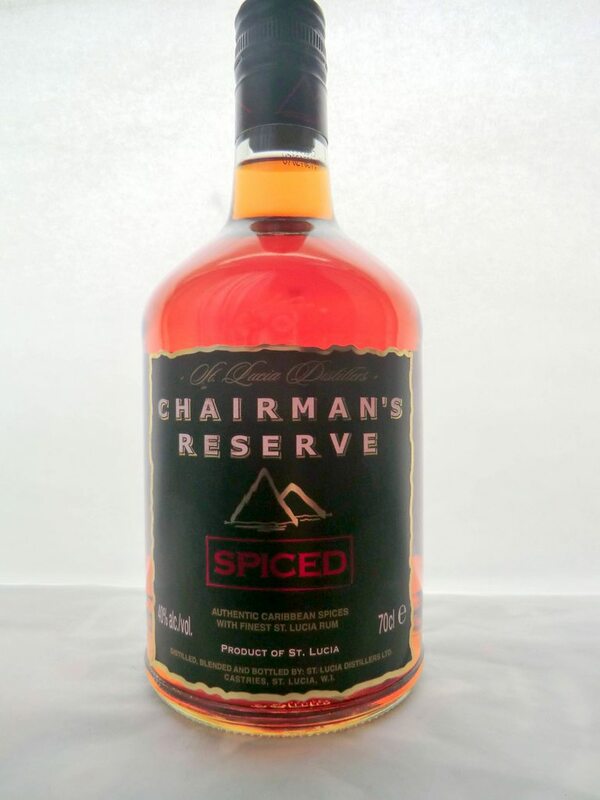 The quest for a good, inexpensive rum continues and brings us to St Lucia, the home of Chairman’s Reserve. Previously I’ve reviewed (and loved) their Forgotten Casks expression but this time it’s the core offering I’m looking at. This has only been available since 1999 and is a mix of column and pot stills (John Dore and Kentucky Vendome specifically for the still nerds out there). Flavour – Raisins, honey and tobacco initially, vanilla comes through eventually but it’s quite subtle. The mouthfeel is very creamy. Finish – Medium and slowly fading with the burnt sugar from the top of a crème brulee leaving a dryness from the newer oak of the final ageing. There is a burn on the way down which is to be expected in quite a young rum. Overall it’s an interesting rum, if rough around the edges and feels like it needs more time in the barrel to become something rather special. Comparing it to the Forgotten Casks you can see the same traits that develop to a more satisfying conclusion in the older expression. This is a bit too subtle for mixing with coke, the flavours are overpowered with the tobacco coming through and not really working too well with the coke. With tonic (Fever Tree) it works very nicely, the bitterness of the tonic lifts the flavour and compliments the oaky notes to give a very refreshing drink. 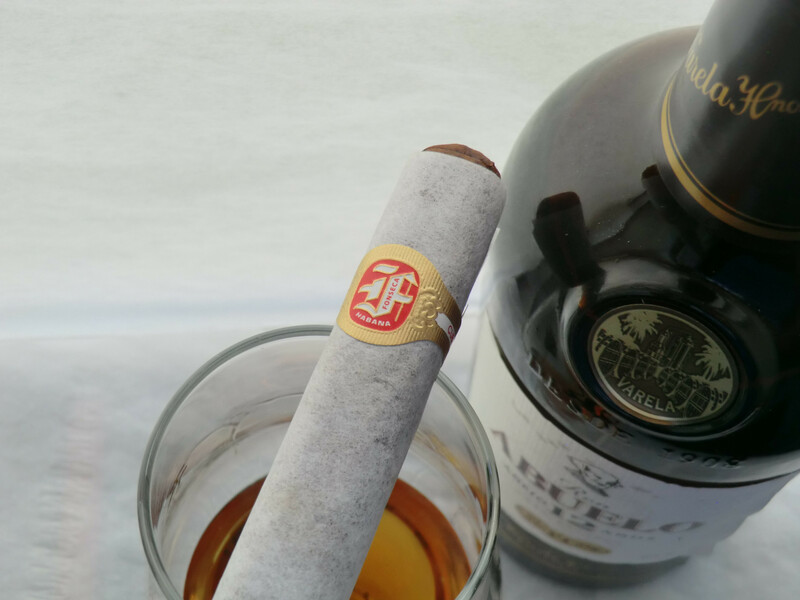 This is about the same price and the same age as the Mount Gay Eclipse and Appleton’s V/X, overall none of them is a sipper but the Chairman’s get closer than the other two, just being let down by its youth and lack of refinement. As a mixer it doesn’t go as well with coke as the Appleton’s nor as well with tonic as the Mount Gay but it’s still a fine rum for all that and it's a good addition to the booze cabinet. While perusing the booze aisle at lunchtime I spotted a bottle of this for £15 and, in the interests of science, picked it up to do a comparison with the Appleton from the other day. Two stone windmills... one boiling house with seven coppers, one curing house and one still house. Various sugar plantations in the north of Barbados were consolidated over the years into the Mount Gilboa estate until one owner asked Sir John Allenby Gay to run it for him and he did such a good job that, after he died, it was renamed Mount Gay. Now this bottle is named eclipse after the event in 1910 when a total solar eclipse coincided with Haley's Comet passing by. Incidentally, originally rum was called killdevil in Barbados, either because of the rotten hangover it gave you or because of its medicinal properties, depending on who you believe. Flavour - A punch of flavour initially that's a bit overwhelming but citrus, cloves, cinnamon and general wintry spices come through with a bit of a tingle. So, as with the Appleton this isn't a sipper, in comparison this is definitely a younger, punchier spirit but equally it feels like the elements hold together better. It tastes like mainly column becuse of the lightness but the pot stills do bring the fruity elements to play. The bottle suggested this with tonic, which sounded bizarre but, hey, why not and it was a revelation. The bitterness of the tonic cuts through the youth of the rum to make a very refreshing summer drink. I used a bit less than a 2:1 tonic to rum ratio (2:1 and a subsequent splash) and this is now on my drinks list for sure. This was just with bog-standard schweppes tonic which is a bit crap, so with a good one like fever tree or fentimans this would be great. With coke it works fine, you get some vanilla maybe a little woodyness but not much else, perfectly pleasant but not a huge success. Going for ginger beer doesn't really work, the ginger beer is a bit too overwhelming, you can taste the rum on the finish and on the way down but that's about it, for all the youthful aggression around the edges this rum is quite delicate in its own way and can't stand up to this. So, overall, this is a good mixer and if doing a rum and tonic it's rather delicious. Compared to the Appleton V/X it depends what you're after really, given they're both cheap and widely available get both and see for yourself. It's definitely going to be a fixture in my library of booze for summer. Before getting to the liquid itself it's important, I think, to understand the solera system that is sometimes used in rum production. The solera system is something created by our Latin cousins in Spain and Portugal to create a consistent product when making sherry. You take a series of barrels in age order and each year move some to the next barrel and at the end of it bottle some from the oldest barrel, the proportion being at the blenders discretion. In this way you get a consistent flavour profile and each barrel contains a little bit of the oldest, that proportion will decrease over time until you're left with a booze version of homeopathy (but more delicious). The wiki article explains this a lot better than me so have a look. 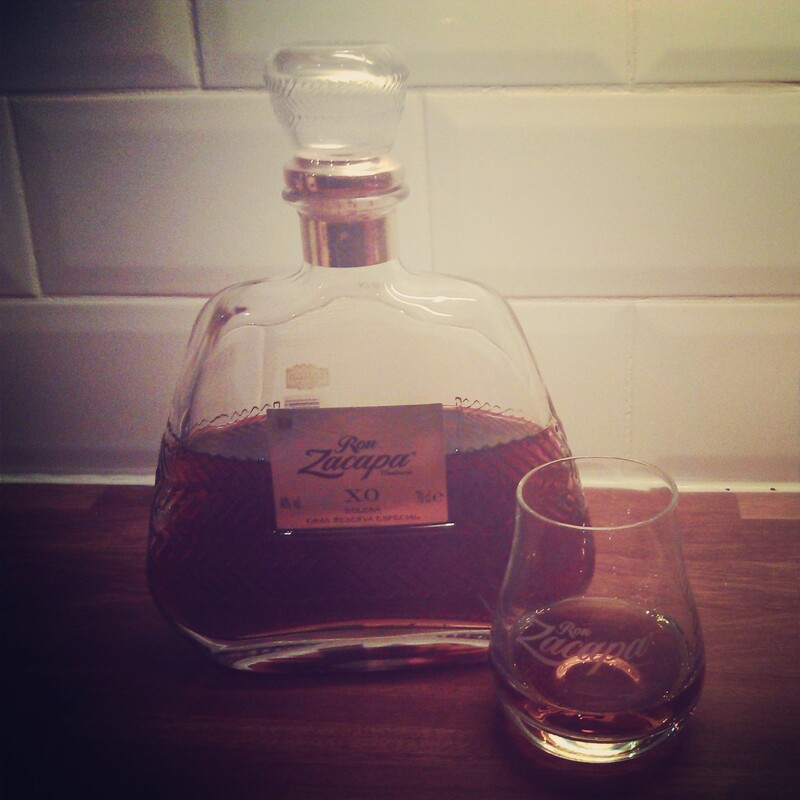 Zacapa tweak this by using a variety of barrels and adding in a mixing step between barrels. The liquid is decanted into a mixing barrel and the blenders add in a secret amount of super secret reserve rum to balance the flavours. Once it's done in the cognac barrels it's time for bottling while some is held back for the mixing. This slightly ropey diagram I've knocked up might help. The time in first fill is between one and three years and the cognac is for two years so at the end of it you have a bottle that contains a blend of rums from six to twenty-three years old. Zacapa make their rums from what they call sugar cane honey, unlike most other rums which use molasses (excluding agricole rums and cachaca which start from fermenting the sugar cane juice). Once you have your sugar cane you extract the juices from it crushing/cutting it up, this is then boiled repeatedly to drive off the water and extract the sugar crystals. This is usually done 3 times, with each boil leaving a thicker and darker residue behind, the 1st boil gives us what Spaniards call miel de caña or what we'd call golden syrup in the UK, the second boil gives second molasses and the third gives blackstrap molasses. This rum is aged at altitude (7,558 feet above sea-level) in the Guatemalan highlands which allows a slower maturation thanks to the constant temperature. High temperatures and humidity speed up the aging process with most Carribean rums maturing 3-4 times faster than a Scotch whisky. Flavour - Sweet but not cloyingly so, vanilla, chocolate orange, raisins and some spice with an overarching oakiness in the background. Slips down incredibly smoothly. A full, creamy mouthfeel. This really is an exceptionally good rum, well-balanced, rich and full but with more character and depth than most rums manage, it's undeniably a sweet rum but you never get that cloying sweetness that some others have. would I pay the thick end of £100 for a bottle of this? Is it twice as good as the 23? To be honest I don't know the answer to those questions, and that's the problem with the super-premium end of the market for me. For the price of this you could pick up a bottle of the 23 and an El Dorado 15, which are both superb rums. What I would say though is that if you see this in a bar, and you're feeling a bit flush, maybe your horse came in at the races or you got a promotion, hell you just feel like treating yourself then order a good-sized measure, sit back, relax and the world will seem a better place. 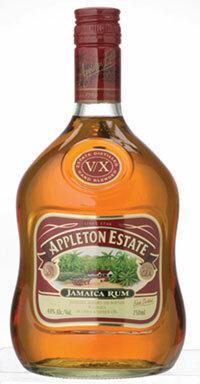 Appleton Estate have been around since at least 1749, with the land having been granted to a Francis Dickinson in 1655 for his work during the conquest of Jamaica. As with all rums, sadly, his product in rum or sugar form would have been part of the triangular trade moving slaves, raw materials and finished goods between Britain/America, Africa and The Caribbean. Currently Appleton are owned by Wray & Nephew, who are famous for their deadly over-proof rum that you mainly see on fire atop a zombie. Jamaican rums typically use a by-product called dunder in their distillation. Dunder is what's left in the still after you're finished driving the alcohol off. This residue is high in nutrients and Jamaican distillers will gather this in "Dunder pits" and let it ferment then use some of it to feed the yeast for future brewings. Bourbon drinkers will know dunder as sour mash. While it's fermenting the dunder will give off lots of esters, these are the chemical compounds which give you that pungent, fruity, banana-y smell that's so typical of Jamaican rums. A blend of 15 -20 rums produced using a mix of column and pot stills, all between 5 and 10 years old, hence the V and X. As a sipper this is a non-starter really. The flavours, while good, don't balance in the same way a higher-end rum will. You can taste the potential this has, and Appleton do make some very good older expressions, but it's not quite there yet. Now, stick this in a rum and coke and it's a whole different story. The slightly over-pungent aroma is taken off by the sugars in the coke and the fruity flavours compliment it beautifully, add a twist of lime to cut through it all and it's ideal for a sunny afternoon. Definitely my go-to mixing rum and very reasonable at around £20 a bottle, a widely available rum in most bars if you're looking to wean a friend off the Bacardi. While the high-end sipping rums are great we all need a good day-to-day mixing rum, something to sling into a rum and coke on a hot day and just relax. With summer nominally having arrived in Scotland I grabbed a bottle of this from Tesco and fired into it. 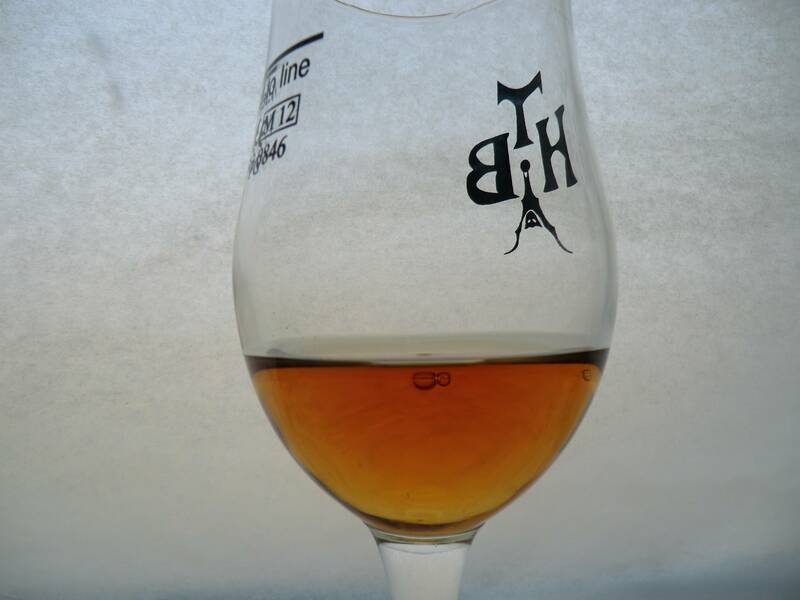 Colour - light golden, which is a tad confusing for a nominally dark rum, the shot below is slightly backlit (just sunlight) but this is very light. Flavour - meh, not much flavour of anything at all, a little bit of sweetness, some hints of the vanilla and toffee. So, straight up it's not a winner it's safe to say. It's way too light for a dark rum but it's not meant to be drunk straight so I moved onto the traditional Rum & Coke and a Dark n Stormy, using a 3 to 2 mixer to booze ratio. "our Quality team can confirm that the rum is from Guyana but the age is unspecified and we do add some caramel for colour"
Plantation are a side project by a French Cognac distiller, now Cognac manufacturing is all about the blending, bringing together the elements to create a harmonious whole. Apparently over the years a lot of rum distillers went to this Cognac looking for barrels to give a nice finish to their rums, in return the French took some barrels of rum and created the plantation range. The rums are decanted and aged in smaller cognac barrels for up to 2 years before blending and bottling. I'll add a small caveat before my review - as this was a tasting it was only a glass of each (though I've had the 5 yo and 2000 before) and I had just eaten a rather delicious pizza. Overall Plantation rums are some of the biggest bargains I think you can find in the rum world, the 20th anniversary is one of the best rums I've tasted and is an absolute steal at that price. Each expression builds on the previous one, refining and improving it. 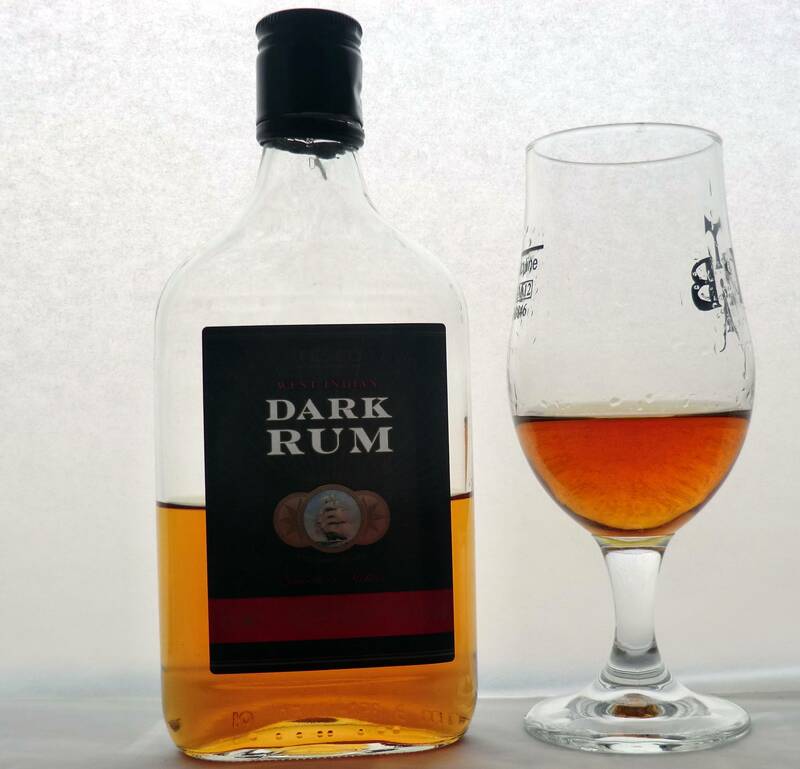 Any of the dark rums would be a great entry point for a friend who says they don't like rum. As for the overproof it's not my thing but it's nicer than anything that strong has any right to be, there is actual flavour rather than just raw alcohol burn and the white rum does make a very nice daiquiri. A mysterious little number here from WM Cadenhead's, Scotland's oldest independent bottler and usually more known for their Whisky bottling but they also do a pretty interesting line of rums. This is their basic green label product and has no age or origin statement beyond "Product of the Caribbean", I've chatted to the guys in the shop and they won't be drawn on what all is in here but I'll add my speculations after the tasting notes. Atmosphere - tasted this while listening to the Red Dead Redemption soundtrack, a wonderfully atmospheric and evocative album. Initially I had this neat and while it doesn't strictly need water/ice it does smooth out some of the rougher edges that a higher ABV brings and brings out a bit of vanilla on the nose and the palate. This is a quite challenging rum overall, the high ABV and mix of flavours certainly keep you guessing and I quite like that but I can see how others might not be a fan. Certainly it's not one that you'd sit and drink all night, more of a glass or two at the end of the night, if you're also a scotch drinker I think you'd enjoy it. Cadenhead's also do a lot of interesting regional bottlings which I'll review in the near future. A slightly different take on this review because this particular rum is a little bit of history so some context before we get to the booze itself. The drink was nicknamed grog and gave us the word "groggy" as you'd expect to feel after a pint of rum. Over time the amount of rum served was reduced until it was finally halted on July 31st 1970, Black Tot Day when the Royal Navy finally conceded that drinking high % rum and operating warships was a pretty bad idea. A few years later a Canadian entrepreneur persuaded the Admiralty to sell him the recipe for navy rum and this is what Pusser's is today, more than 50% of the profits go to various naval charities including the Royal Naval Sailors fund and the US Navy Memorial Foundation amongst others. This “behaves” a lot more like a good whisky than most rums, and that comes down to the stills. The wooden pot stills in Guyana that are used are the only commercial ones still in use and are over 250 years old. This makes things a lot heavier and more full-bodied than most other distilleries can manage, rum from these stills also goes into the El Dorado, XM and OVD ranges. As with cask strength whiskies you can sip this neat and it’s good, but a drop of water really does open it up and mellow off some of the rougher edges. A bottle of this will last you a long time, a glass or two of an evening will take the edge off nicely or after a good meal but it’s definitely not a session rum. That being said some things should be savoured, enjoyed over time and this is certainly one of them. 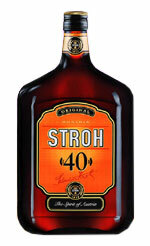 Stroh is an Austrian spiced rum and is as redolent of the Caribbean as you'd expect a drink from there to be. Been around since the 1850's, there is some controversy about what this is made from, some sources say sugar beets, some say a little bit of real rum and then grain neutral spirit, others say sugar cane. The Stroh website describes the aroma as unmistakable, well that's for sure, no other rum gives off the scent of burnt rubber and play-doh with a hint of ginger that this does. Flavour wise it's a very aggressive alcohol burn, giving away the lack of ageing and the source of the alcohol. A larger taste gives more toffee and vanilla but not to the exclusion of the floral flavours and the dryness remains but is more subdued, still slightly smokey. All in all this is a good value sipper, something a bit different and a little more challenging perhaps than other rums but that's no bad thing. This would be a good after-dinner drink or I can see it going well with some dried meats and cheeses. 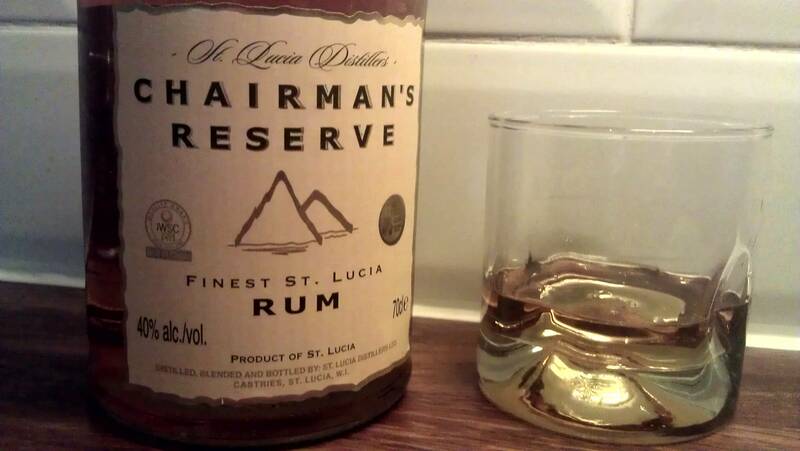 OK, so a quick review of Chairman’s Reserve - The Forgotten Casks from St Lucia Distillers. The story goes that in 2007 there was a fire at St Lucia Distillers which destroyed a lot of their storage and ageing facility, barrels were stashed anywhere they could find and some were put under the floorboards and promptly forgotten about. Fast forward to 2011 and these were found, tasted and released as a limited edition. Flavour – Very smooth, slips down nicely with a gentle warmth, you get the aforementioned vanilla and raisin together with a wee bit of banana bread and some spicy cinnamon hints. At around £35 a bottle this is an absolute bargain and compares very well to bottles at the £45 to £50 price point, a very enjoyable sipping rum which has a real depth of flavour and character. This is quite a new rum to the UK, launching here late last year, apparently it's been around in Colombia for ages and two daughters of the family are trying to bring it to a wider market as a premium rum. Bursting with flavour once it warms up a little or you loosen it up with a splash of water, lots of vanilla, orange, cinnamon and toffee with a little smoke on the finish. Very smooth going down, as you'd expect with a nice lingering warmth. This feels like it would go very nicely in a Manhattan or an Old Fashioned. Personally I thought it was a lovely drop and the bottle is a beautiful thing, the main photo doesn't show it too well but it's a raised blue seal on the front of the bottle which is very striking and really grabs the attention. 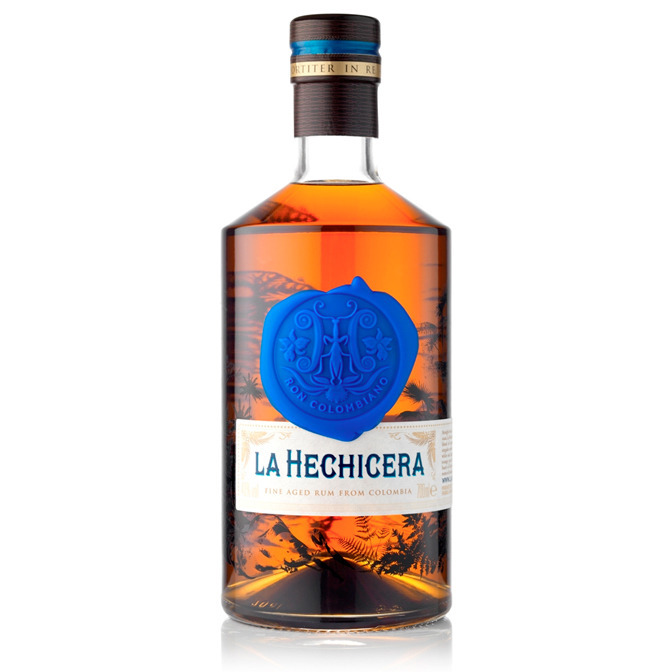 The premium rum market is buzzing just now with a lot of very high quality booze coming to a shelf or back bar near you, La Hechicera is competing with the likes of Zacapa 23 and El Dorado 15 and fits very comfortably in such august company and I'm definitely looking forward to sampling more of this beautiful rum. Like any activity involving drunk people no-one can say for sure how the term came about. Theories range from Romani slang to Dutch drinking glasses to the Latin for sugar, however the most likely (and most fun) explanation is as a contraction of the words Rumbullion or Rumbustion. These are both slang words for an uproar, a stramash and tie in nicely to our image of early rum drinkers. In other times rum was known as killdevil, which would be a far cooler name to see on a bottle I can't help but think. Unfortunately a large part of rum's ubiquity in the Caribbean is based on slavery, between the 16th and 19th centuries trading ships would pick up slaves in Africa, sell or trade them in the Caribbean to work on the sugar plantations and take molasses and rum home to sell. Rum grew more popular after Britain occupied Jamaica in 1655 and the local rum replaced French brandy as the sailor's main drink. Spirits were served as on long sea journeys fresh water and beer would soon spoil. 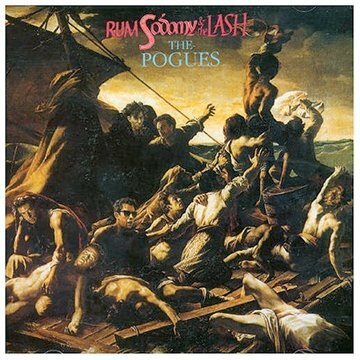 Initially sailors were given a pint of rum a day, over time this was diluted with water and the traditional lime juice (to prevent scurvy) and became a drink known as grog, giving us the feeling you get the morning after too many rums (groggy). Rum is made by fermenting molasses or sugarcane juice and then distilling the product, this is then aged in barrels (usually oak) to improve the flavour. Different distilleries use different types of still, different blending techniques to create the vast array of rums you find today. Age statements and their meaning vary wildly across rums, there is no universal standard as there is with Whisky, and it's worth bearing in mind that rums mature 4-5 times faster in the humid Caribbean than in the dank and frozen warehouses of Scotland. 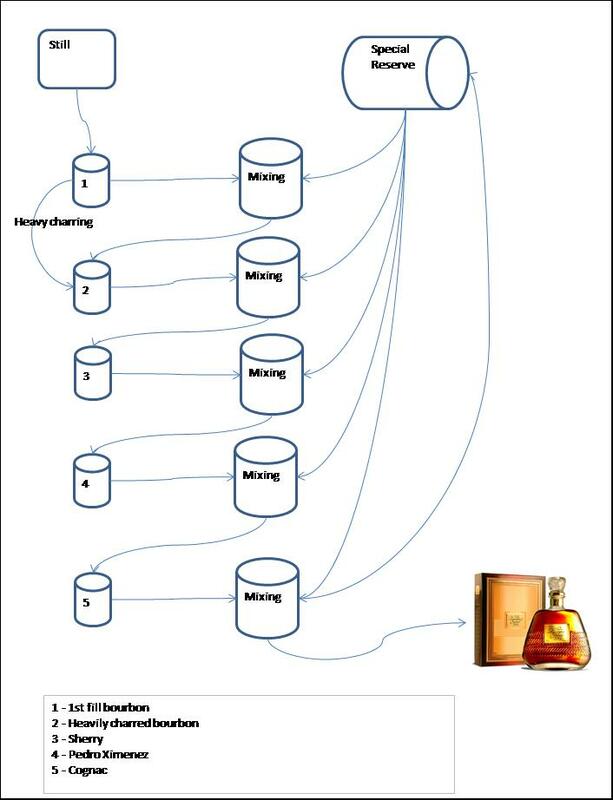 As I discuss individual rums I'll go into more detail about how it's distilled, aged, blended and so on but this is a rough guide to how your rum gets to you.